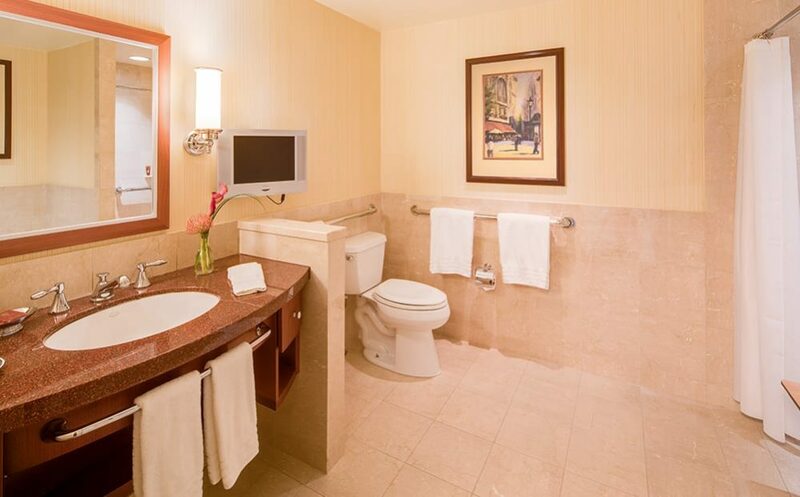 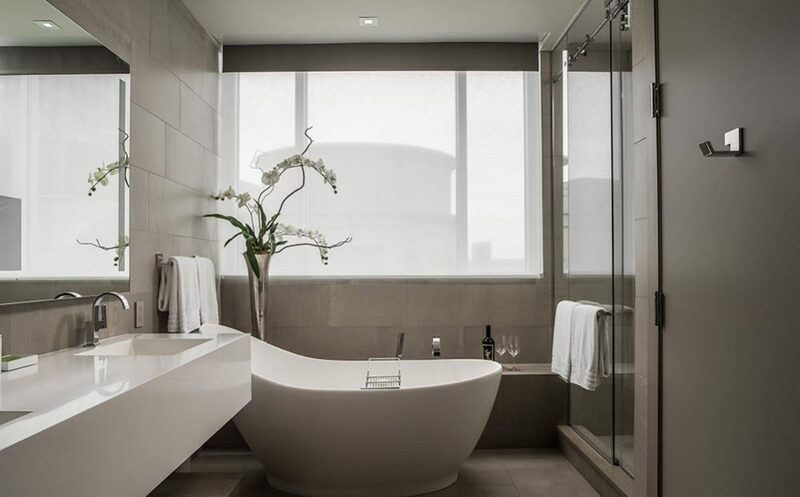 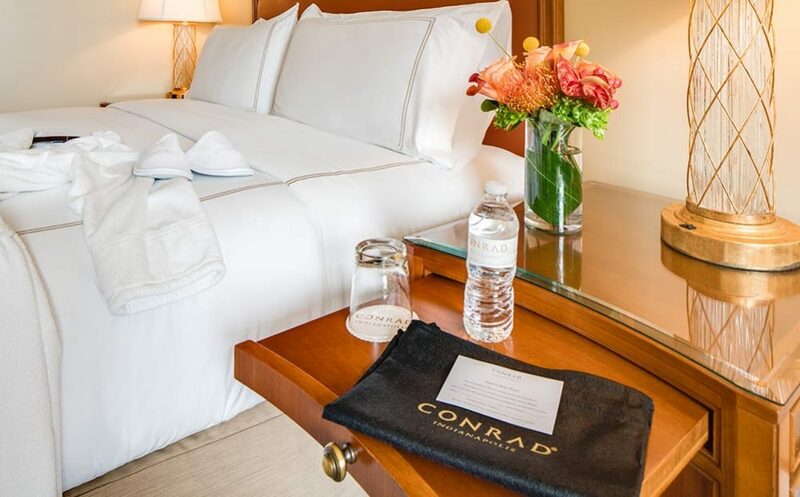 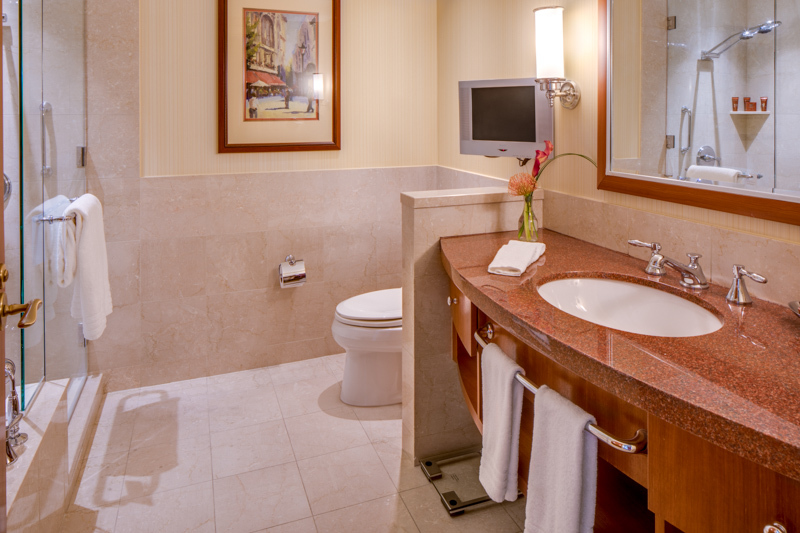 Our deluxe rooms feature Conrad’s signature luxury bedding, a marble-floored bathroom and designer bathroom products. 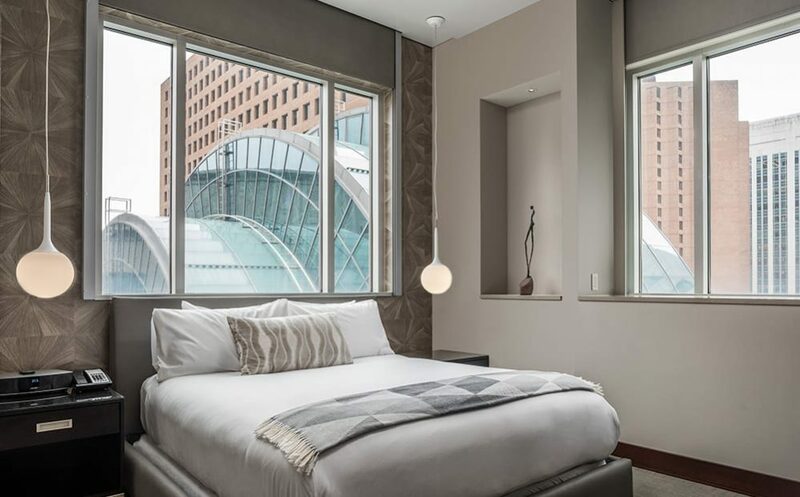 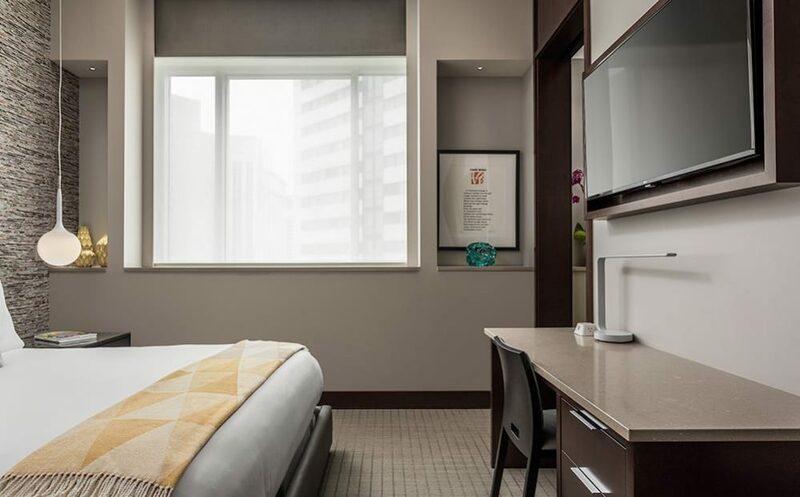 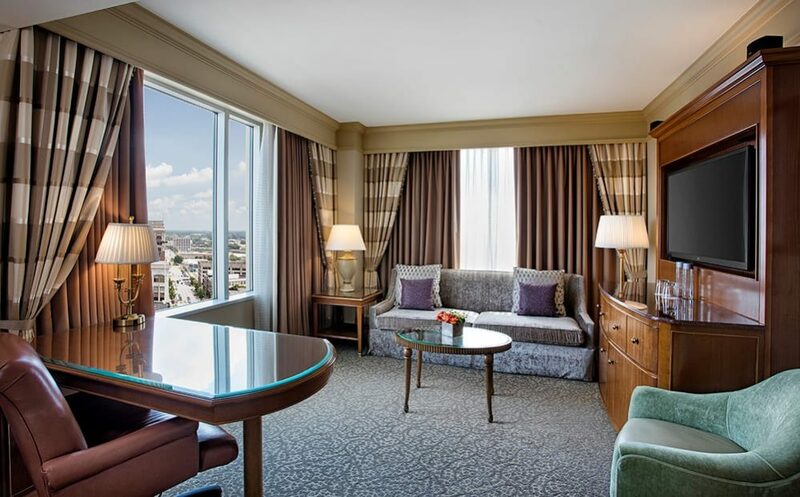 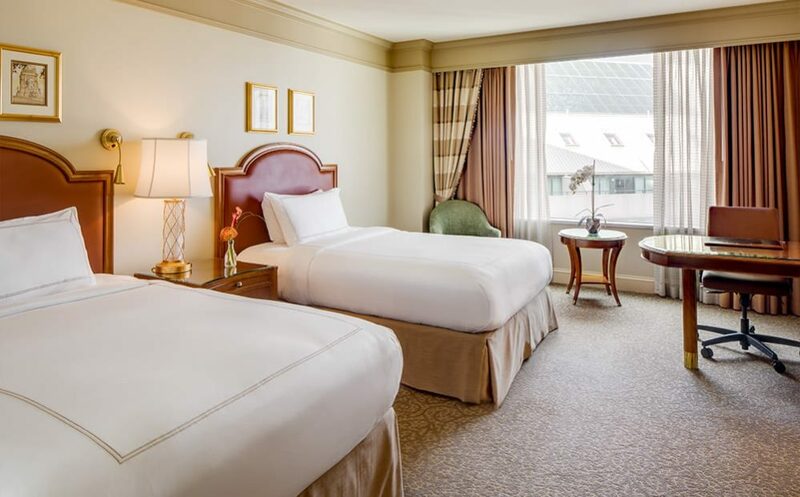 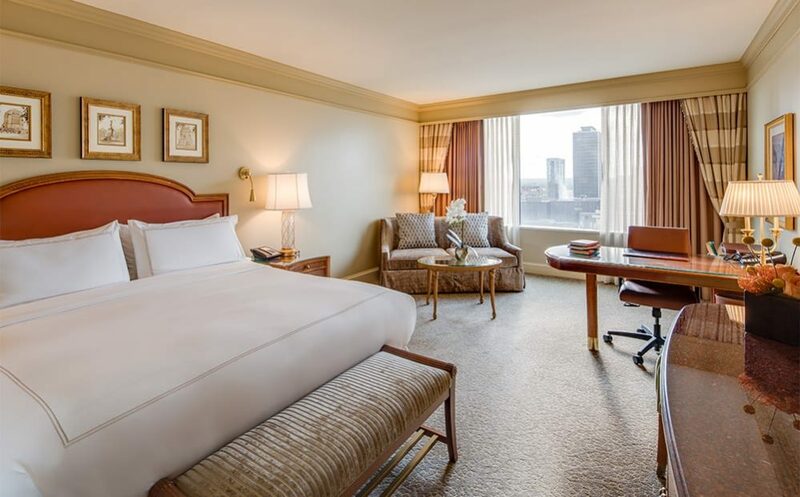 Upgrade to a superior room for high-floor views and nightly turndown service. 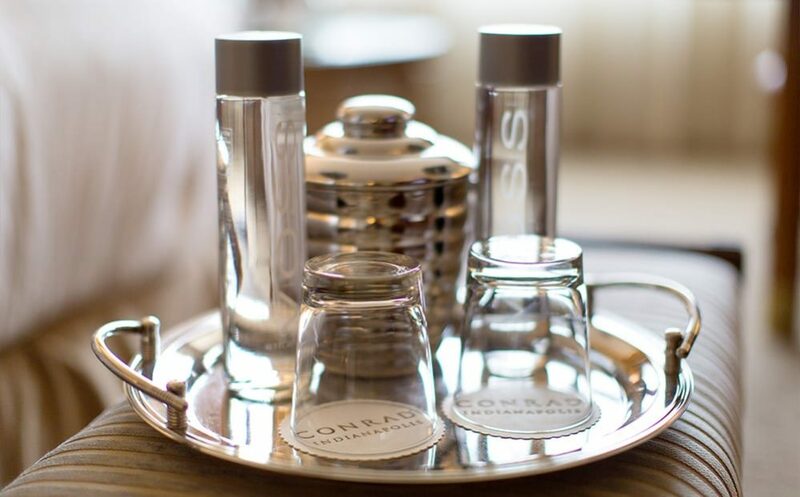 Features include Conrad’s signature bedding, a marble-floored bathroom, and designer bath products. 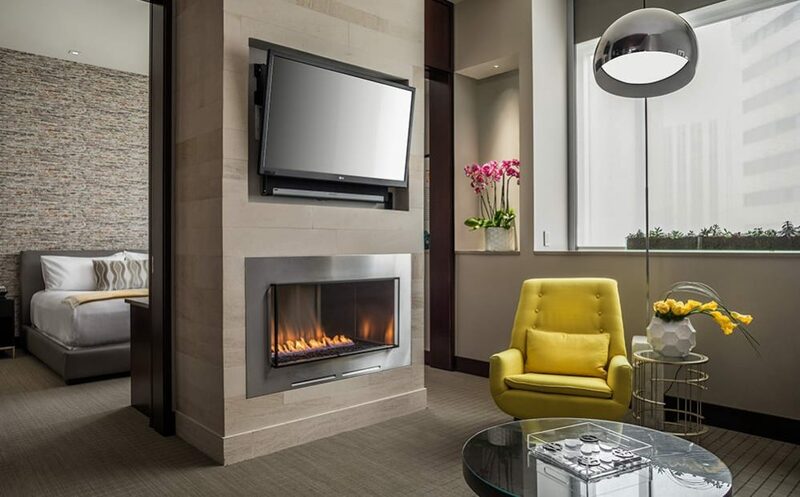 Take in all of Indy from this dual-aspect corner suite with separate living space and two 47-inch TVs. 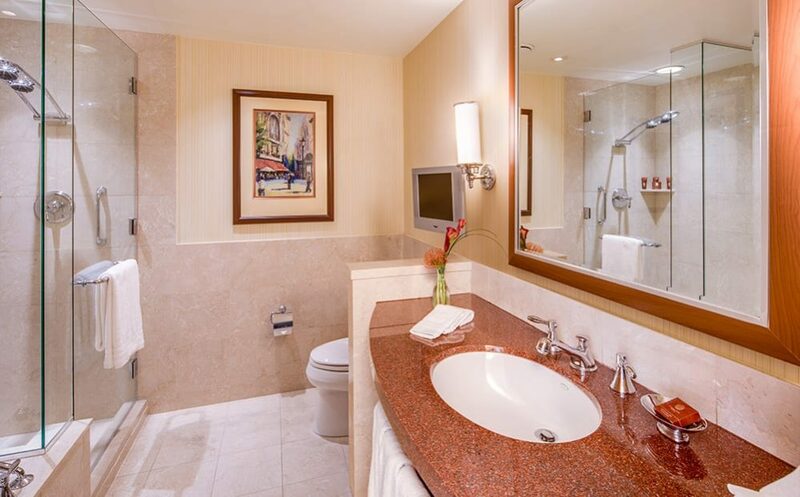 Choose more space in this suite with a 420 sq. 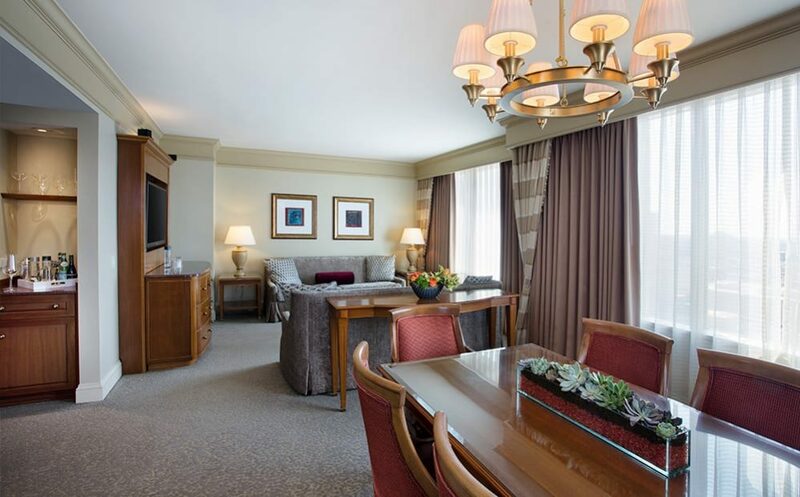 ft. bedroom, separate living space, and two 47-inch TVs. 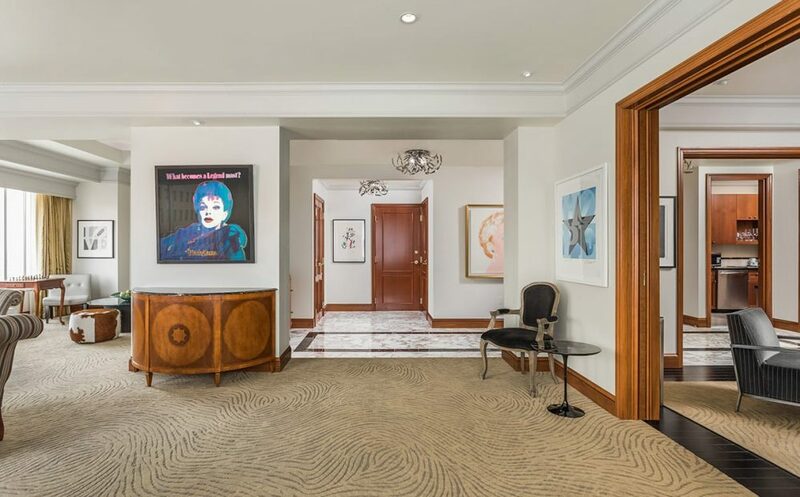 Wake up with Warhol in this Pop Art masterpiece, complete with media library and Indiana limestone fireplace. 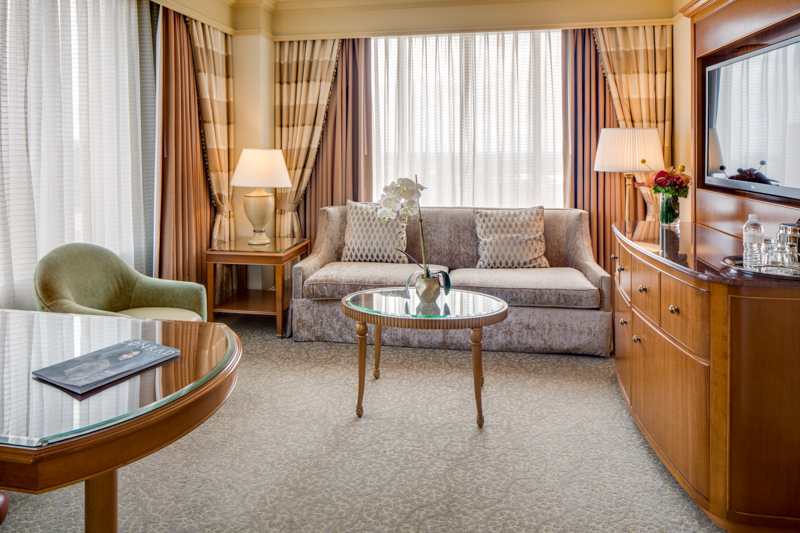 Guests experience all the passion and affirmation of the movement in this suite, adorned with hand-signed etchings from Picasso. 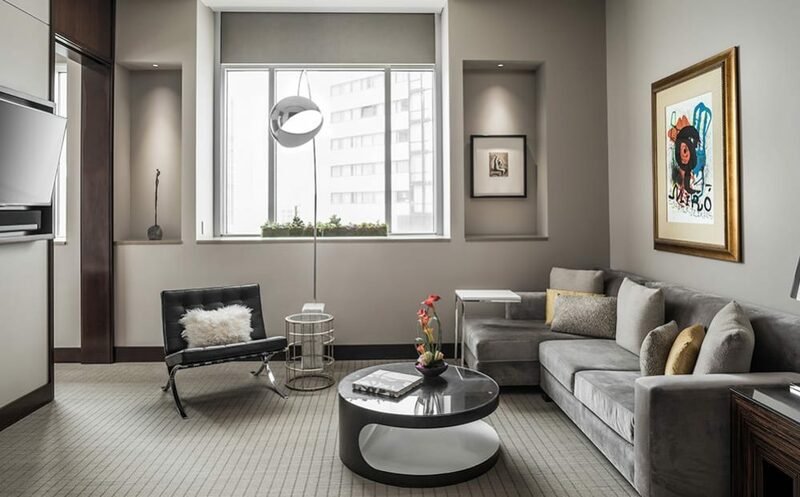 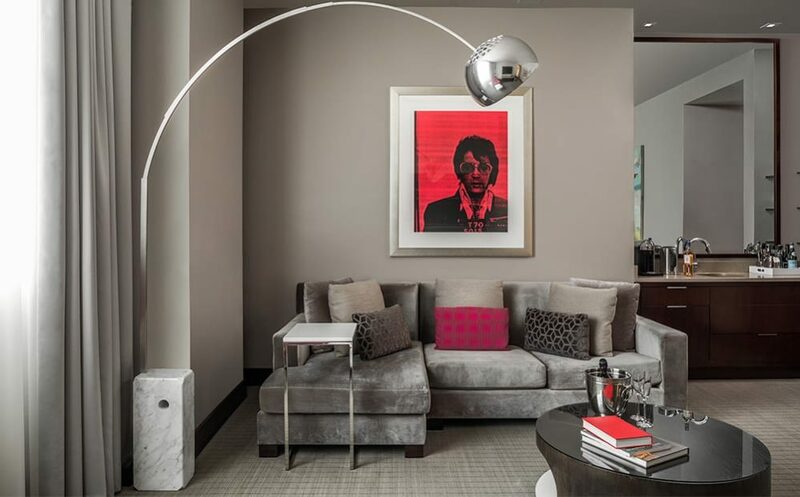 This bold and bright space exudes the energy of the times with pieces by visionaries Russell Young and David Kramer serving as the suite’s focal point. 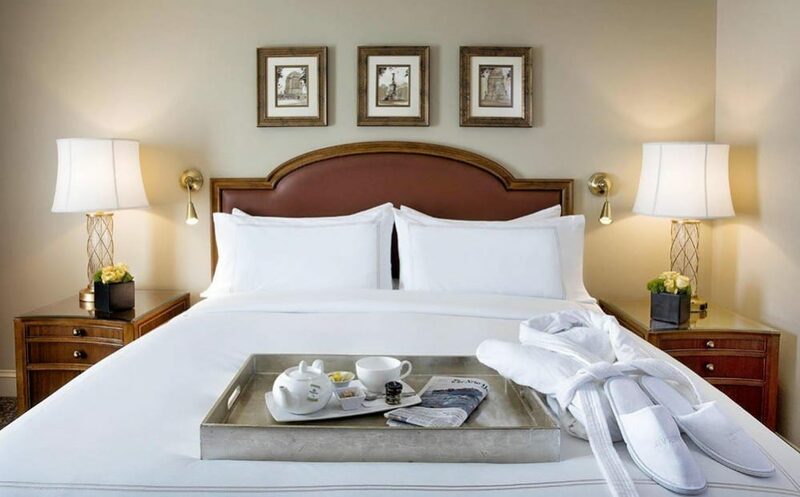 Be enveloped by the philosophy of Salvador Dali – the father of Surrealism. 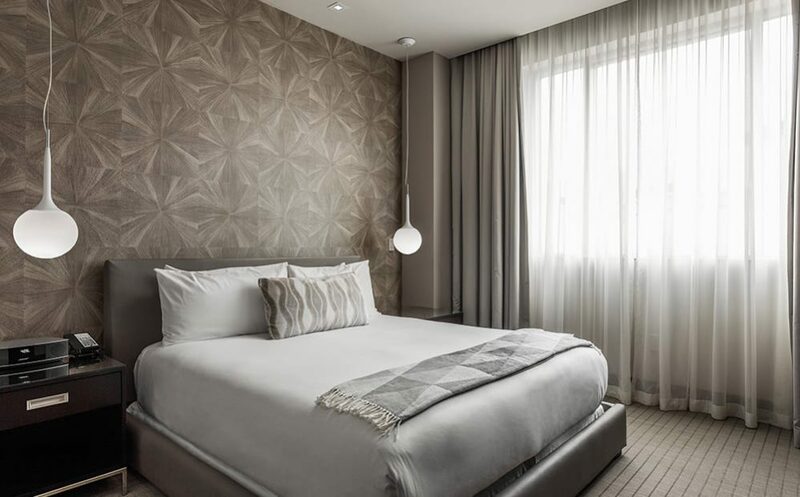 Experience the surrealist-inspired headboard wall covering that must be seen to be believed. 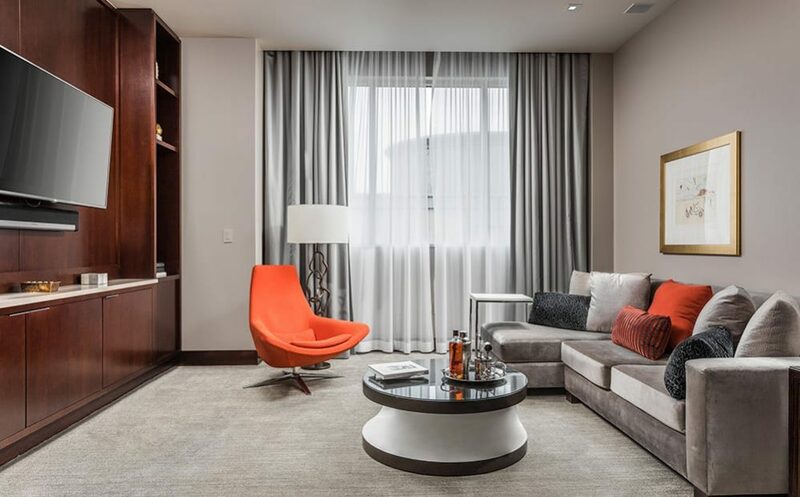 Named one of the “Top 101 Suites in the World” celebrate in the footsteps of celebrities in this VIP hangout with a Bose sound system and space for fifty guests. 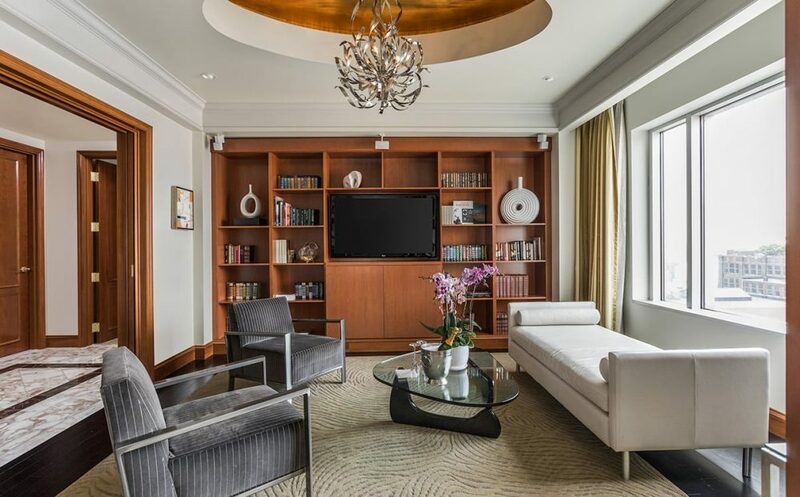 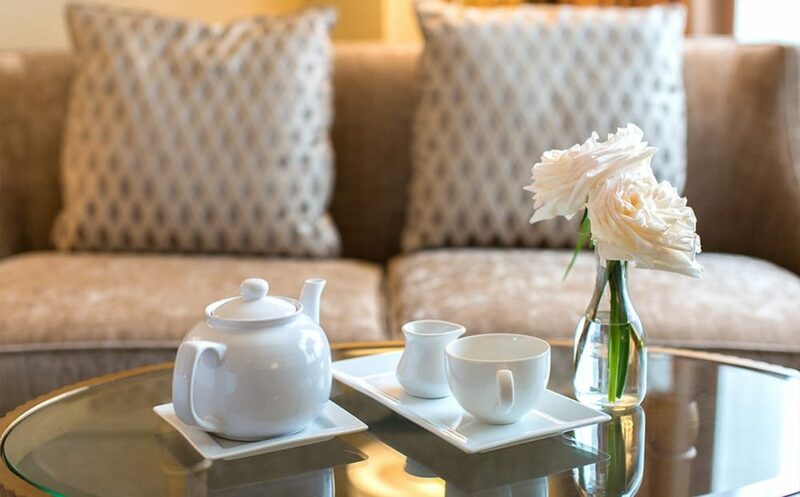 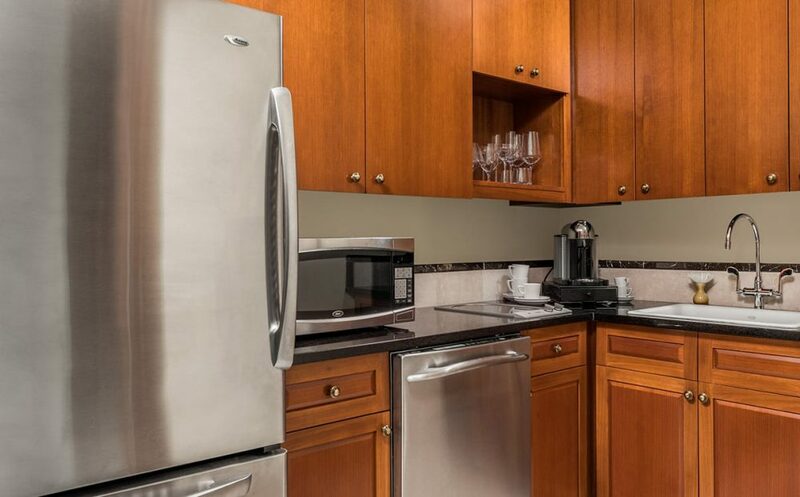 Your expansive home-away-from-home features museum-quality art, living area, media room, and private powder room. 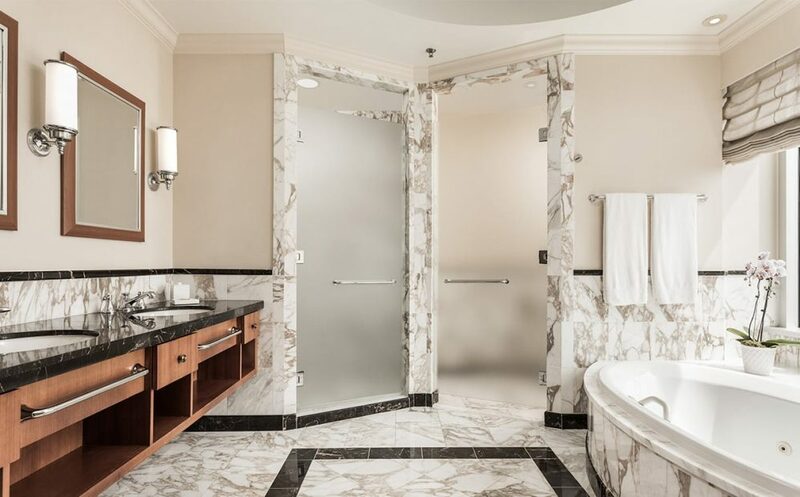 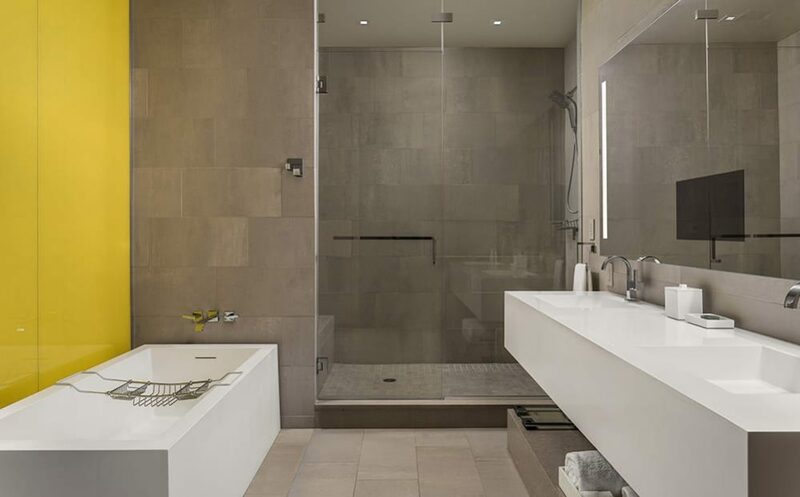 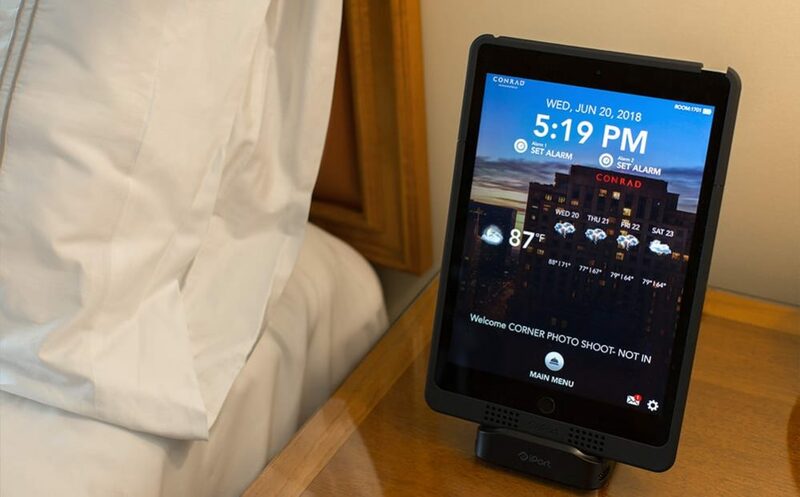 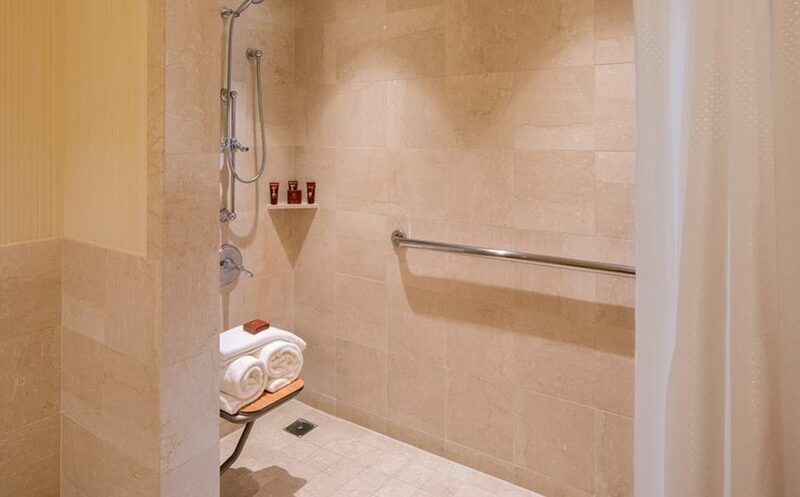 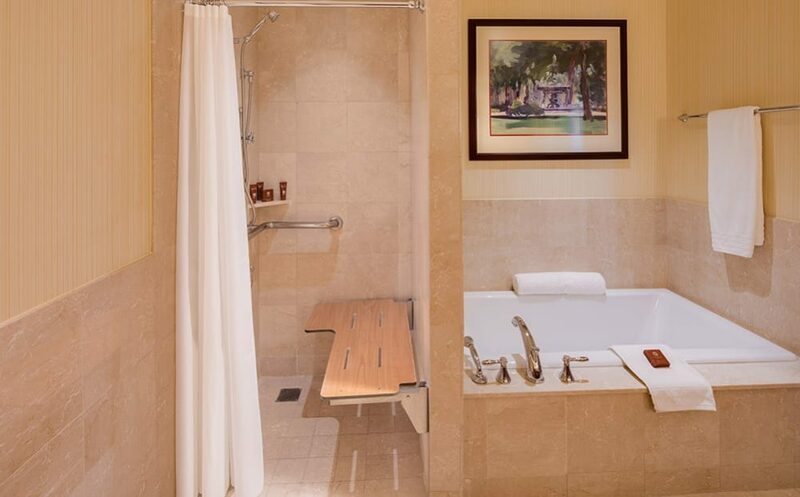 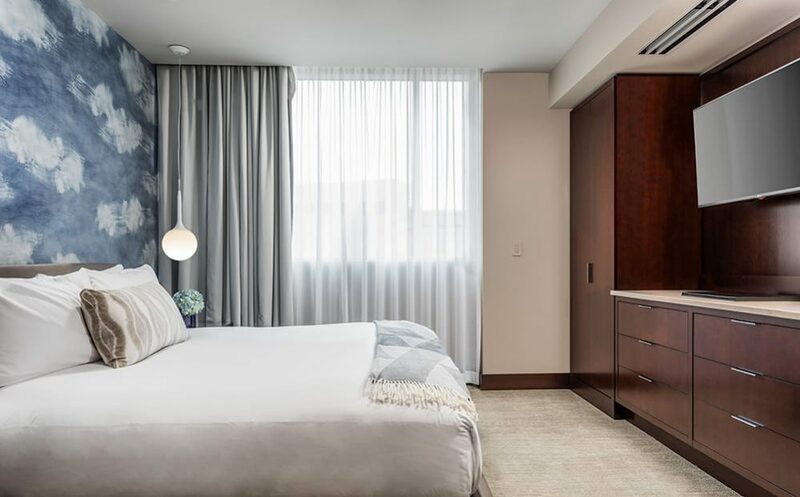 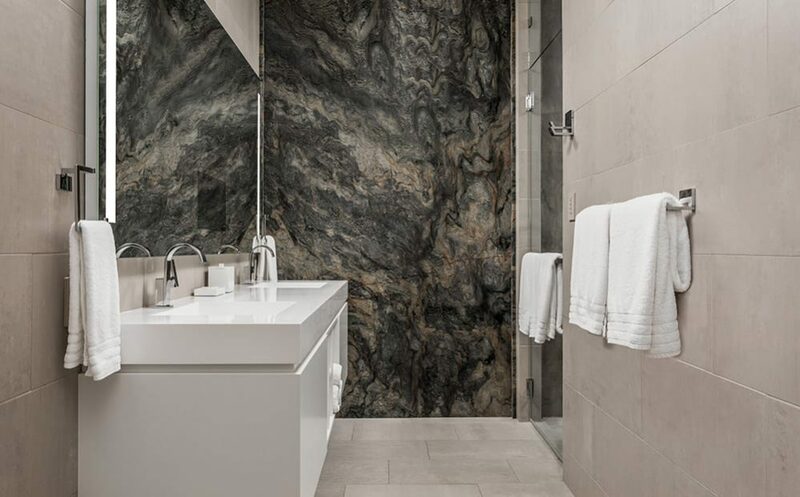 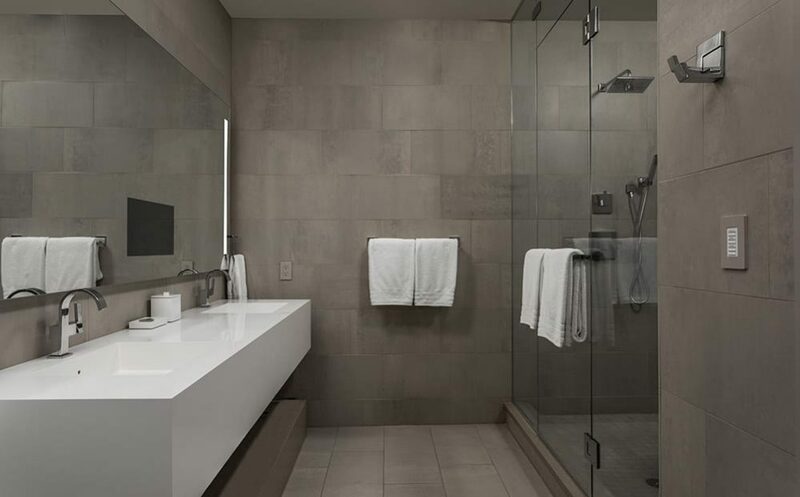 Our accessible deluxe rooms with roll-in showers feature Conrad’s signature luxury bedding, a marble-floored bathroom, and designer bathroom products. 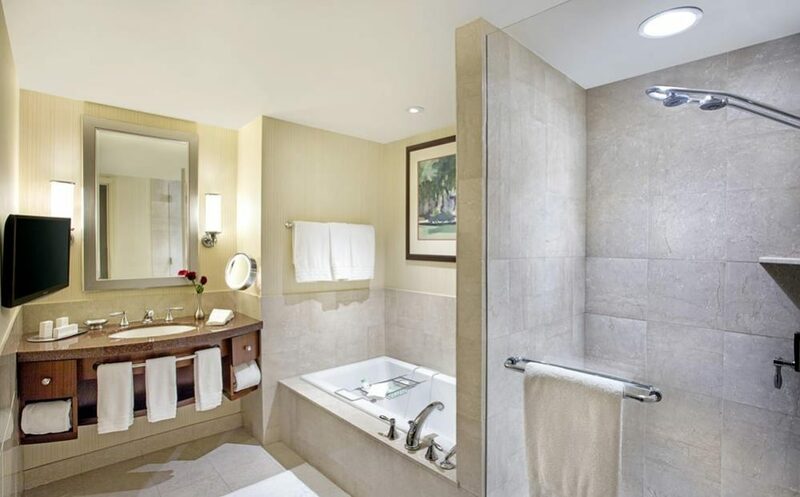 This accessible deluxe room with roll-in shower features Conrad’s signature luxury bedding, a marble-floored bathroom, and designer bathroom products. 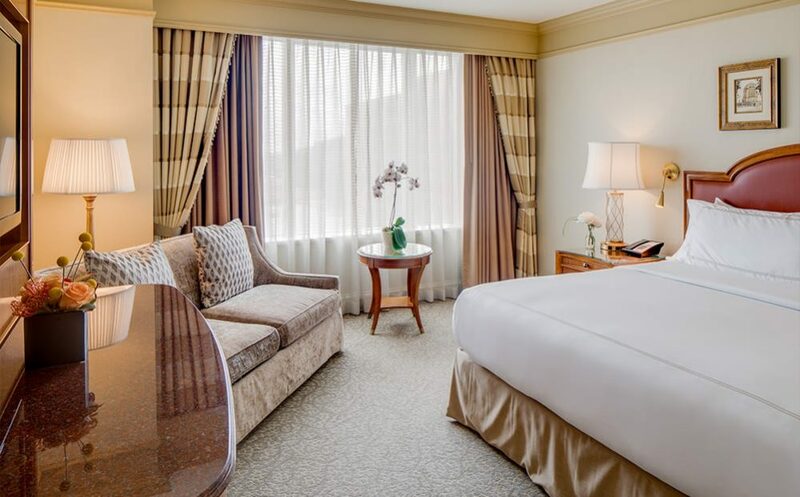 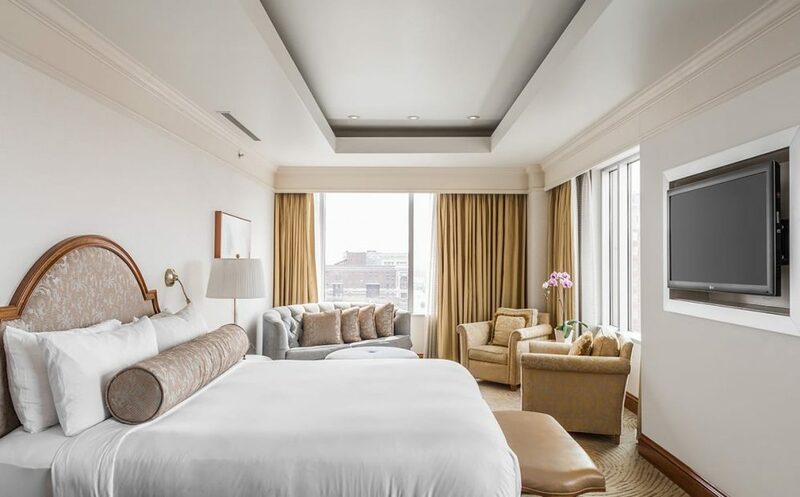 Relax in this hearing accessible deluxe room featuring Conrad’s signature luxury bedding, a marble-floored bathroom and designer bathroom products.